Avoid the garden gnomes and earn big prizes in four superb slot games. An impressive line of authentic slots comes direct from the casino to your computer. 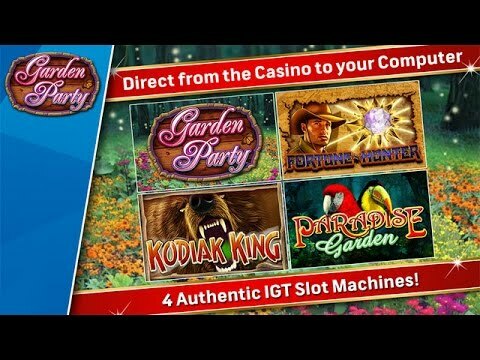 IGT Slots: Garden Party features an assortment of four superb slot games, including Garden Party, Fortune Hunter, Kodiak King and Paradise Garden. Join in the party of real casino slots action with true-to-life sights and sounds that are delightfully entertaining. Avoid the garden gnomes and with a bit of luck, extra spins and big dollar wins may come your way.